Sugar. It has recently become the subject of countless articles and studies. And rightly so as we increasingly learn more about the negative effects sugar has on our long-term health. In effort to cut down on your sugar intake here are some tips from The Complete Gut Health Cookbook to triumph over your body’s sugar cravings. Drink a glass of water. Wait 5 minutes. Have 1-2 teaspoons of fermented veggies (the amount depends on how much you are used to consuming), or a shot of Coconut and Ginger Kefir or Beet, Ginger, and Turmeric Kvass. This approach helps if the cravings are caused by gut flora overgrowths. Take 1 teaspoon of glutamine powder directly under the tongue. Let it sit there and dissolve for about 30 seconds before washing down with a glass of water. Just like pain, a craving is your body telling you that something is going on that needs attention. If your sweet cravings are particularly for chocolate, start supplementing with a good-quality magnesium powder (such as magnesium glycinate or magnesium citrate) providing 300-500 mg magnesium per day for a month. You should find your chocolate cravings ease or go away completely. Many of these can be consumed as a tea, or for a higher therapeutic dose, ask a herbalist for a formula made of the tinctures of these herbs. 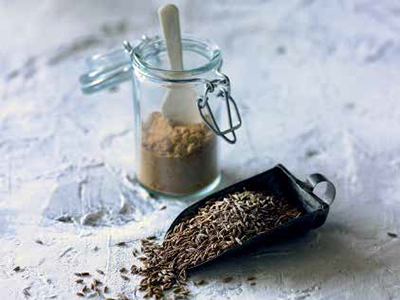 Cinnamon and turmeric can be included readily in many drinks, smoothies, and meals. Add spirulina to smoothies. With more and more research pointing to gut health as a leading factor in overall wellbeing, the way we eat has never been more important. The Complete Gut Health Cookbook is your all-inclusive, 6-step guide for getting your gut right—complete with 100+ recipes for gut health and a 5-week meal plan. 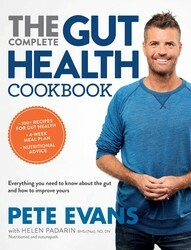 This gut-check is brought to you by award-winning Chef Pete Evans, and trusted nutritionist Helen Padarin. As the title suggests, this book is all about good gut health and how to achieve it, following the simple but powerful premise that wellness stems from a balanced digestive system. But while you’re adhering to healthy cooking standards, you’re not sacrificing flavor with any of these great-tasting dishes. Pete Evans is an award-winning Australian chef, restaurateur, cookbook author, TV presenter, adventure seeker and father. He's one of Australia's leading authorities on healthy cooking and lifestyle and is dedicated to improving people's lives through education about nutritional food and wellness. Pete is the author of recent books Healthy Every Day and Family Food, and co-host of Channel 7's hugely successful show My Kitchen Rules.